"Entrance of the Gladiators" op. 68 or "Entry of the Gladiators" is a military march, originally titled "Grande Marche Chromatique" reflecting the use of chromatic scales throughout the piece. But Fučík changed the title based on his personal interest in the Roman Empire. 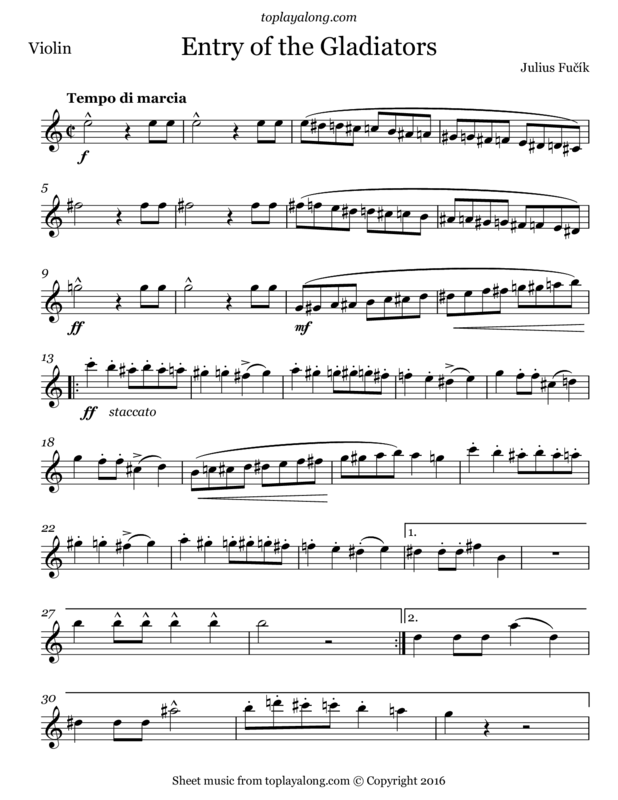 There is a version of this march arranged for American wind bands by Canadian composer Louis-Philippe Laurendeau, under the title "Thunder and Blazes". The song gained lasting popularity as a screamer march for circuses, often used to introduce clowns. Czech composer and conductor of military bands. He became a prolific composer, with over 400 marches, polkas, and waltzes to his name. As most of his work was for military bands, he is sometimes known as the "Bohemian Sousa".